Last weekend’s big Pokémon tournament in Australia saw many famous players, including two world champions, duking it out for the top title. Zoe Lou, a player with no previous major finishes, stunned and thrilled the community by rising above competition. 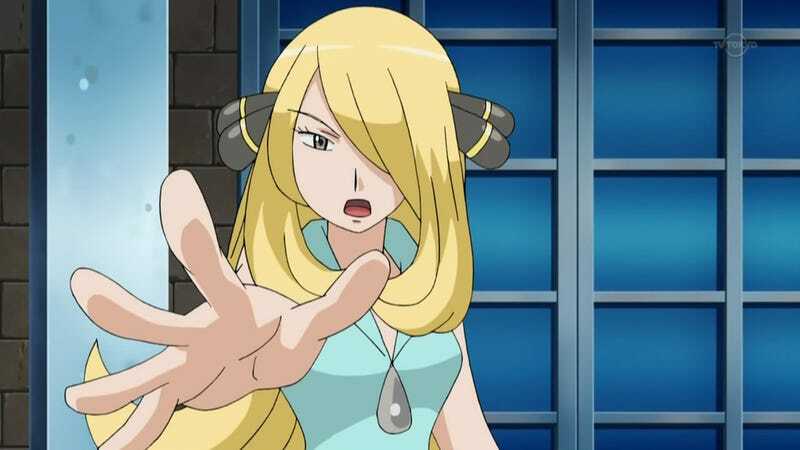 In doing so, she has become the first woman to win an international Pokémon event in the oldest age division. In competitive Pokémon, it’s a relatively common practice to emulate or improve upon previously successful teams. In this case, Lou decided to try a variation of a team used earlier in the season by the 2015 world champion, adding her own tweaks and variances to give it an update. Lou’s team is centered around Tapu Lele and Drifblim, both of which are complemented by Gyarados, Garchomp, Magnezone, and Tapu Koko. Unlike the original team she drew inspiration from, Lou’s Garchomp ran Substitute for extra longevity, and her Gyarados brought Flamethrower instead of Earthquake. Finally, her Drifblim packed the move ‘Haze,’ which gives her a way to reset her opponent’s stat boosts. Overall, though, the team uses Drifblim to speed up powerful, offensive teammates, which can then take knock out the opponent before they get a chance to move. While Lou’s early matches aren’t viewable via Twitch stream, she finished the first day’s competition with an impressive 8-1 record. That was enough to advance to day two, where she played another five games against the other high-performing players. She had a harder time during that phase, and her record fell to 10-4. However, because her opponents won more games than the other competitors with the same win-loss record, Lou managed to squeak into the single elimination bracket in 8th. While it seemed as if she was on shaky ground, being the last one in top-cut was actually beneficial. As it turned out, her top-eight opponent, Sebastian Escalante, had to forfeit their match to catch his flight home. Having to drop out as the first seed was bad news for Escalante, the sole Latin American player in top-cut, but Lou likely wasn’t complaining. And while people may have doubted whether she could have won the match normally, she proved herself against competitor Ben Kyriakou. Kyriakou was a heavy favorite to win the entire tournament. Not only did he finish the first day of the tournament in first place, but he’d finished fourth overall in the European International Championships earlier in the season. But, when Lou squared off against Kyriakou, she didn’t lose a single Pokémon the entire set. It was almost over before it began. At that point, the only person standing in her way was Nico Davide Cognetta, an Italian player who also made the finals of the European International Championships. He is a tough opponent to overcome, but Lou had a massive advantage going into the match. While she had her whole team of six, Cognetta only had five Pokémon to choose from. Players are often asked to fill out team sheets before competing to ensure they are battling with the Pokémon they said they’d bring. However, after accidentally writing the wrong move on his team sheet, judges in Melbourne removed Cognetta’s Kartana from the tournament. Many players suffered a similar fate at the European International Championships, but those players struggled to keep winning after losing a team member. While Cognetta faced an uphill battle, he managed fight his way to the finals. That being said, Cognetta’s raw skill could only take him so far. Without Kartana, Lou’s Magnezone was virtually unchecked and could almost win the game by itself. Only Cognetta’s Arcanine had a chance to handle the steel type, but Lou had Gyarados and Garchomp as checks. So, while it wasn’t impossible for Cognetta to win, he had to rely far more on predictions to catch Lou off-guard. The first game was over fast, as Magnezone caught Arcanine with a powerful z-attack on the third turn. While it survived with a sliver of HP, Cognetta lost it on the next turn due to recoil damage from Flare Blitz. From there, Lou was able to use Magnezone and Garchomp to finish things up. Game two was much closer as both players adjusted their focus. However, Lou decided Arcanine wasn’t the threat anymore — it was Tapu Koko. Since its electric attacks threatened her Gyarados and its fairy attacks threatened Garchomp, Lou decided she could win the game if she handled that. So, with her Magnezone staring down Arcanine and Koko, she surprised everyone by using her z-attack into the fellow electric type. From there, all Cognetta had to threaten Lou’s team was his Porygon2, which could hit Garchomp with Ice Beam and Gyarados with Thunderbolt. Fortunately for Lou, however, Garchomp is immune to electric attacks and Gyarados takes Ice Beam fairly well. With that being the case, she made safe switches back and forth between Garchomp and Gyarados while her Tapu Lele took down the Porygon2. Once that was done, she’d basically sealed the game. Fans were elated to see Lou win throughout the weekend, even comparing her skills to the world champion whose team she modified and a league champion from the Pokemon anime. Of course, many fans were just happy to have seen the tournament at all. Before the event, there was substantial frustration in the community over the lack of an official stream. However, with permission from The Pokémon Company International, two Australian players dropped out of the tournament to stream and commentate a majority of the matches from their phone while in the audience. But now that the Oceana International Championships are over, players are turning their attention to the future. The next International Championships will take place in São Paulo, Brazil from April 21-23. And now that both Europe and Australia defended their home from invading players, the question on everyone’s mind is whether or not Latin American can do the same. Update 7:21PM: Headline has been tweaked to more accurately reflect achievement.